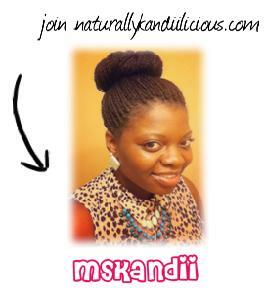 NaturallyKandiilicious: Collab Giveaway with Kassidy Michal: $20 e.l.f Cosmetics Gift Card! 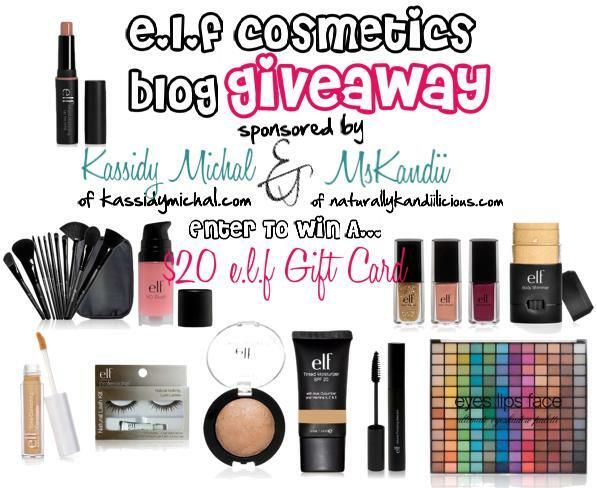 Collab Giveaway with Kassidy Michal: $20 e.l.f Cosmetics Gift Card! Hi loves, To show appreciation to all our followers, my friend Kassidy at kassidymichal.com & I decided to collaborate and host an awesome Blog Appreciation Giveaway". 2 beautiful ladies will win an awesome prize. Scroll down further to see what is in store! Scroll down to find out more. Make sure you read carefully! Please be sure to visit Kassidy's blog Aesthetics of Style for fashion & beauty inspirations and discussion. a. It's FREE!!! Who doesn't like free stuff? ***Disclaimer: Please note that items shown above is not the giveaway. The winners will receive either a $20 e.l.f. gift card or a $20 e.l.f e-certificate. Item's purchased in this giveaway were purchased by Kassidy & I with our own money. Two winners will be selected by random.org. 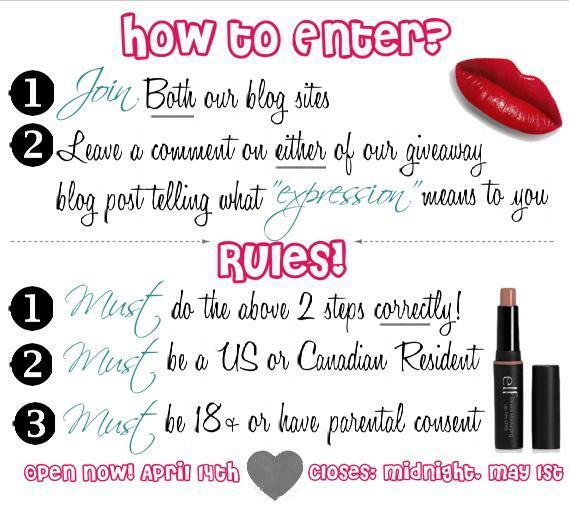 The winner will be announced on Thursday, May 2nd on both our blogs and instagram. Anyone who does not follow the proper steps will be disqualified. You must "JOIN" the site. Do not subscribe through email as we cannot see your name. Click on the photo to be directed to join site page. Expression to me is how I show my inner thoughts to the world through my poems and the way I dress. Thank you ladies for doing this giveaway. I hope I win. 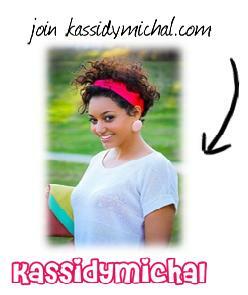 I just went to kassidy michals site and joined. She is very pretty too. Expression means the ability to reflect your feelings and your vision into something for others to see. It may be your clothes, your makeup, your music. Its just simply put "You Being You"
Expression means to me, is to just be yourself. Feeling good about yourself, and letting everyone see the real person you truly are, I'm sure expression means the same to a lot of people. A lot of people have a hard time showing everyone their true personality because theyre afraid of getting judged, but if you did get judge I still don't think that it should matter :) Being yourself will allow you to find true friends and love.